The First Cohort of 24 UK SMEs to be taken on board AIP was announced during the recent visit of PM Modi and his senior delegation to the UK. A meeting of these companies with Mr Ramesh Abhishek, Secretary DIPP and Invest India CEO, Mr Deepak Bagla was organised last month. Some of the larger UK companies including Perkins, BAE Systems, JCB, Rolls Royce, Renishaw and TWI, who are involved as mentors for AIP, were also present at the meeting. This is the first cohort selected from thousands of applicants, with other cohorts to follow. 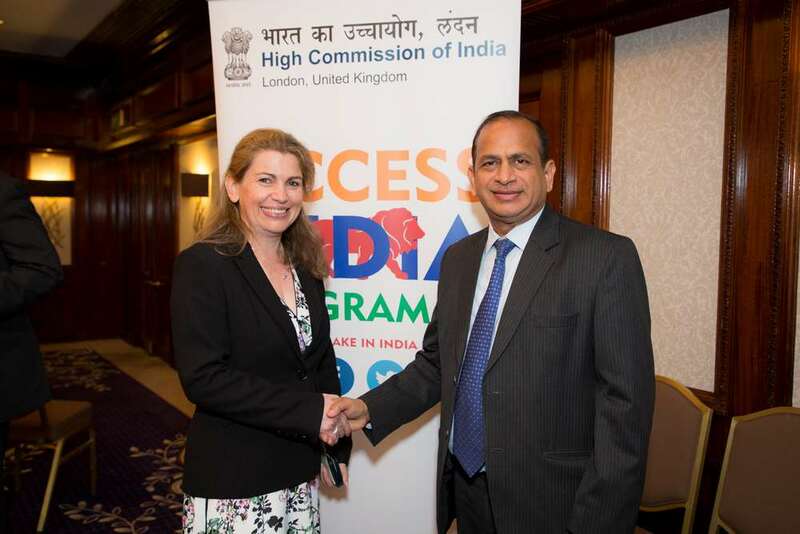 The Access India Programme (AIP) in the UK is a newly launched market entry support programme and the first of its kind for supporting UK businesses access to ‘Make in India initiative’ of the Government of India. The programme seeks to identify high-potential UK SME companies that possess high-end technologies and innovative products and will assist them in establishing themselves in India. For these companies, the programme will provide a detailed programme of activity, mentoring, networking opportunities and market entry support services. These services could be in areas including strategy advisory, operational market entry support, tax & legal support, financial services, project financing, M&A, location services, technology collaboration, facilitation of approvals from central and state agencies will be provided. The AIP Steering Committee is headed by H. E. Mr Y. K. Sinha, comprising of representatives of partner ministries and institutions who will be in charge of monitoring the programme and reviewing the progress on a quarterly basis.